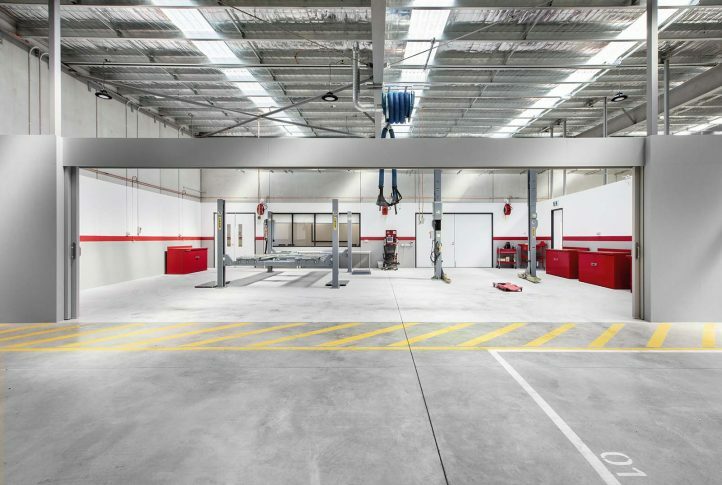 Maben Group commenced construction of the Kia Motors Office & Training Facility at Essendon Fields in July 2016, and the project was completed on time, and on budget four months later. 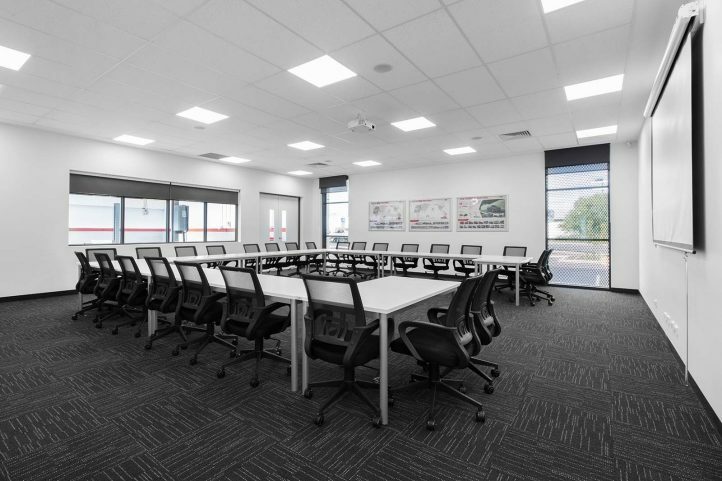 The one level building comprises an office with work stations, boardroom, meeting rooms and staff amenities, a training facility, work bay area and car storage with external car parking. 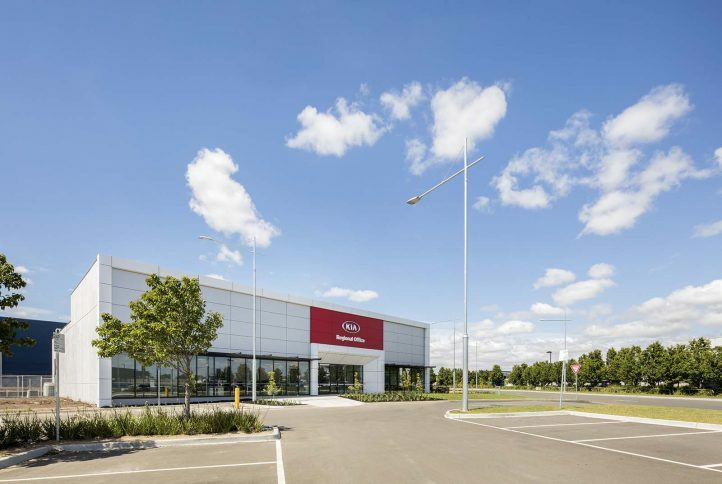 The north west face of the building consists of ALPOLIC cladding, sunshade louvres and floor to ceiling windows, whilst the south west face features an aluminium powder coated feature mesh screen with LED feature lighting. 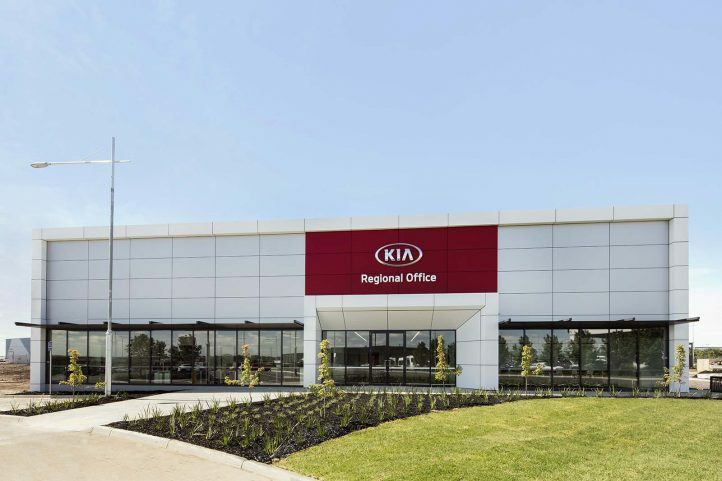 This building will facilitate the training of staff across the Kia dealer network in Victoria. 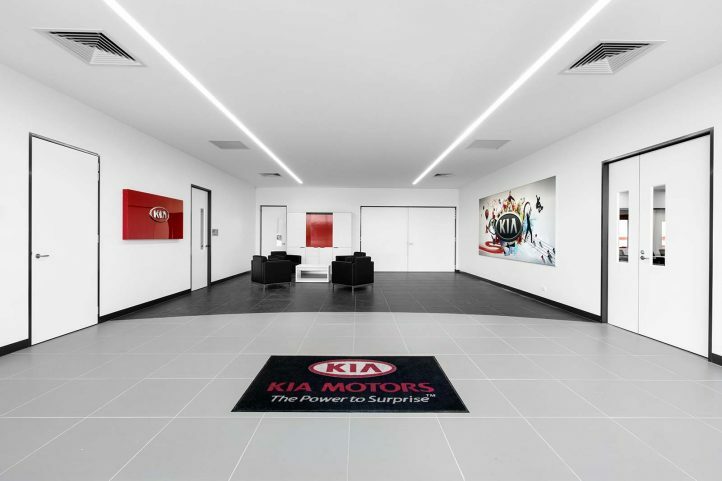 It will include new product training, sales process training and also technical training for the technicians who service Kia vehicles within the dealer network. 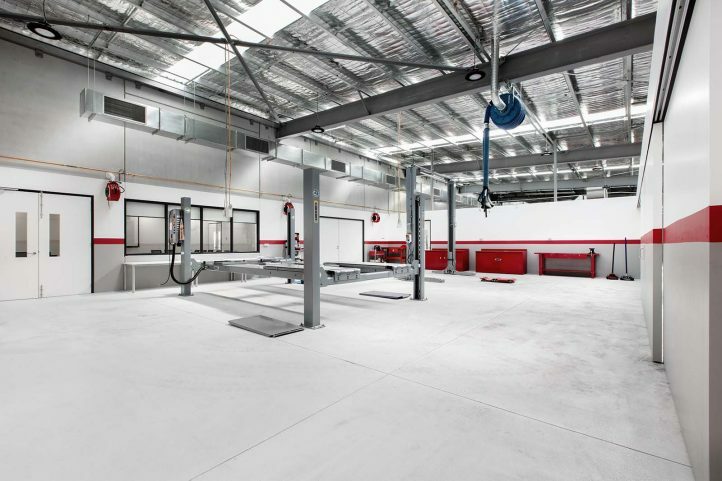 It is possible that in the future Kia will also commence apprenticeship training at this site.